It is available for 37000 Euro. Our MAN TGS tipper are available in a dealer's stock under your request. The production year is 2014. 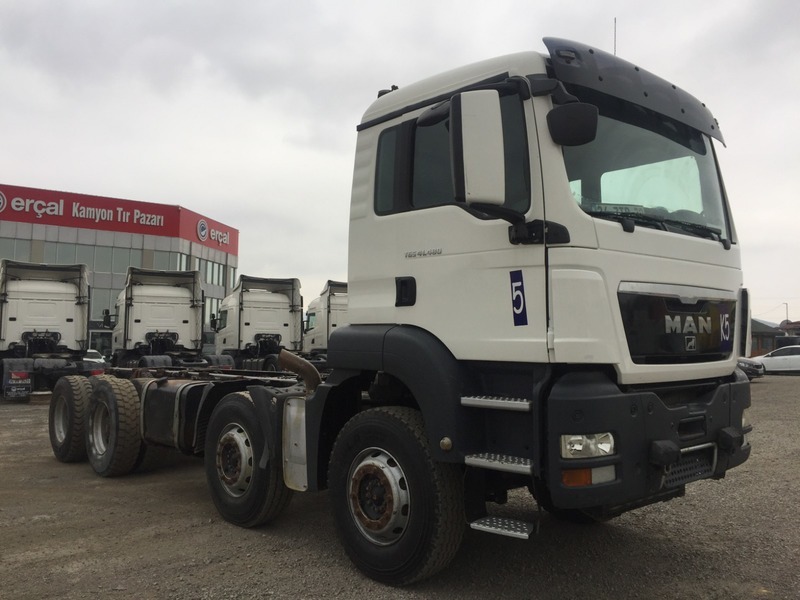 The details on engine output, gearbox and emission class are as follows: Euro 5, diesel, 480 hp, differential lock, gearbox: automatic, engine brake. The details on axles, suspension and euro norm include: suspension: spring, 8x4, number of axles: 4, ABS, ESP - electronic stability control. Driving cab specifics: cab type: day cab, power windows, electric mirrors, central lock, cruise control, power steering, driver pneumatic seat, passanger pneumatic seat, seat belts, radio, CD, board computer. The mileage is 193000 km. The unit’s location is in Eyüp Sultan Mahallesi, Mehmet Akif Caddesi Yadigar Sokak Oto Galericiler Sitesi No:24 D:C Blok, 34852 Sancaktepe/İstanbul, Turkey.